Not only did Jack Kirby create an incredible, tabloid-format adaptation of Stanley Kubrick's "2001" back in 1976, he wrote and illustrated 10 issues of a continuing 2001 series, creating his own stories loosely inspired by the film. Unfortunately, presumably due to rights issues, none of this work is in print - not even now during the 50th anniversary year of the film. 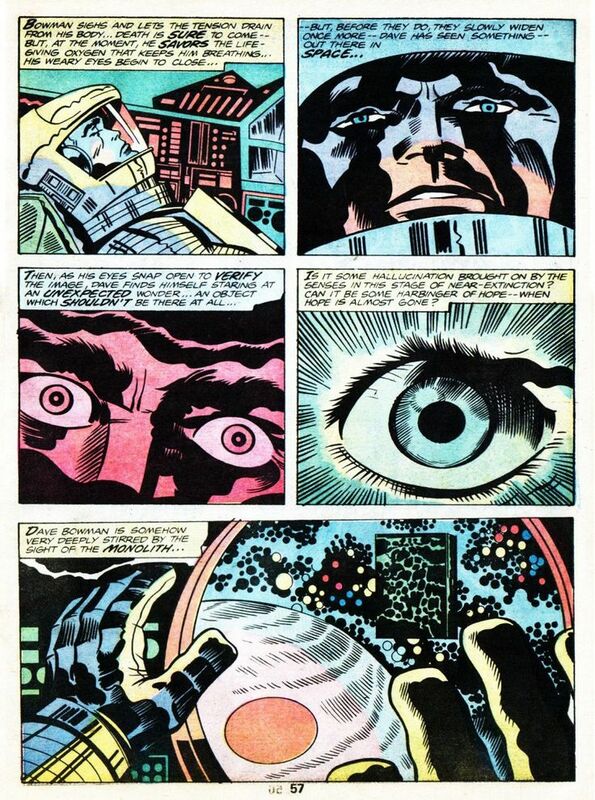 But at least the Jack Kirby Museum is highlighting the occasion with a special pop-up exhibition of Kirby's 2001 art in New York opening tomorrow. 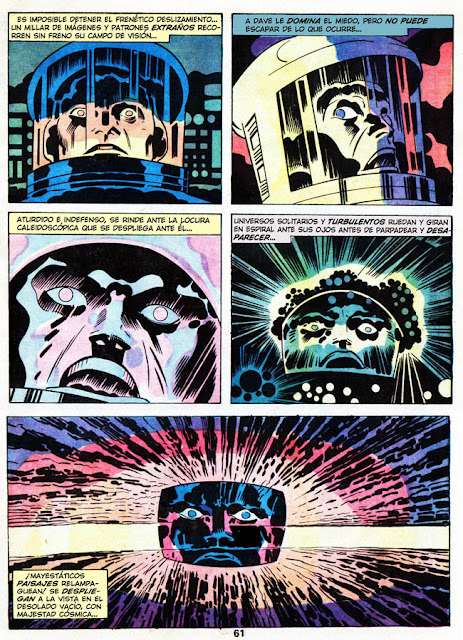 Just in time to celebrate the 50th anniversary of Kubrick’s cinematic masterpiece, the Jack Kirby Museum will present an oversized reproduction Kirby’s adaptation of the movie, compilations of the photocopies of Kirby’s pencil art for his subsequent stories, which have never been reprinted, as well as dramatic, multimedia performances of three of these stories. 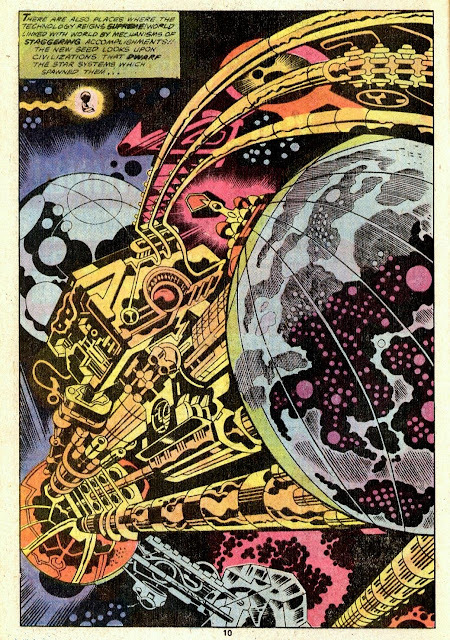 1pm – The Jack’d Kirby podcast live! 7pm – Fake Church with Geoff Grimwood. Improv Comedy! 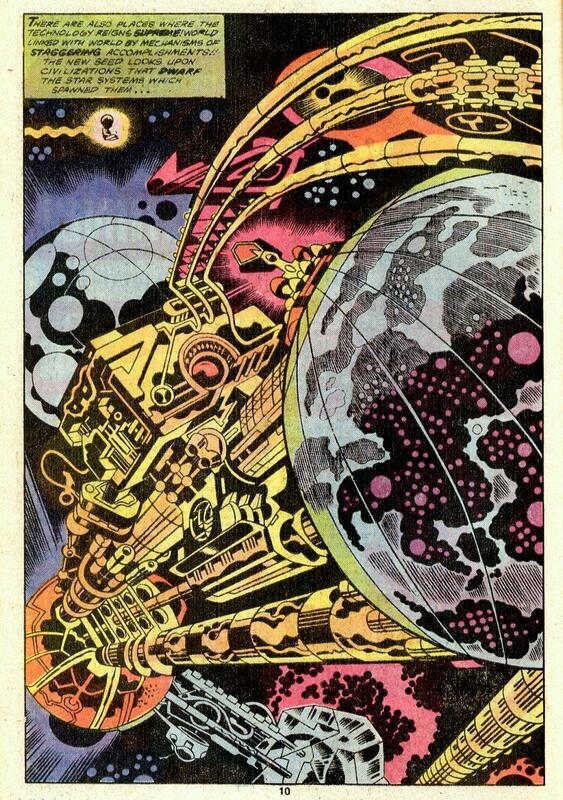 The Kirby Museum’s A Jack Kirby Odyssey will only run from May 11 – 13. One Art Space is located at 23 Warren Street in Manhattan, NY. Used to own this tabloid and as much as I like Kirby, I was always surprised that nobody seemed to proofread him cause he made one huge mistake in his adaptation of the movie. When Bowman had to hurry out of the ship to capture Poole's runaway body, he forgets to grab a helmet which makes the use of the explosive bolts on his pod necessary to get him back into the Discovery. 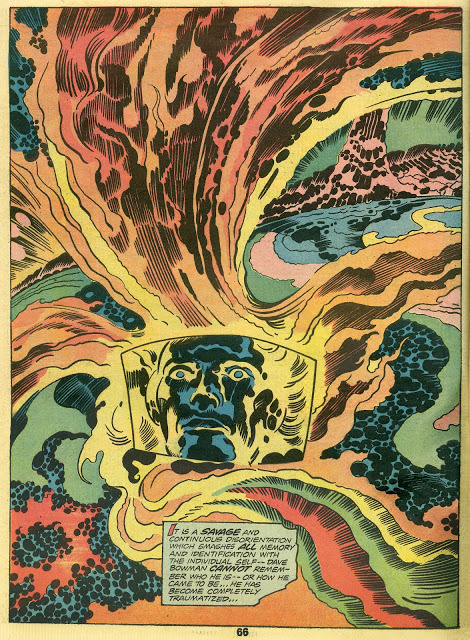 Unfortunately, Kirby drew him wearing a helmet through the entire sequence, undercutting the drama of the whole scene. Did no one who had seen the movie take a look at the art before publication?? It just feeds my opinion that comic book editors serve little useful purpose.